Leak season is on, with fresh leaks of the Google Pixel 3 & 3 XL! Google is expected to unveil their third lineup of Pixel flagship phones in Q4 this year, namely the Pixel 3 and its larger brother, the 3 XL. Below is what we can expect them to look like, thanks to Steve H. aka OnLeaks' reliable device leaking history. Confirming prior leaks, it looks like Google will be keeping a single camera setup for the back cameras, while we may be getting an interesting front camera setup that we don't really know much about. 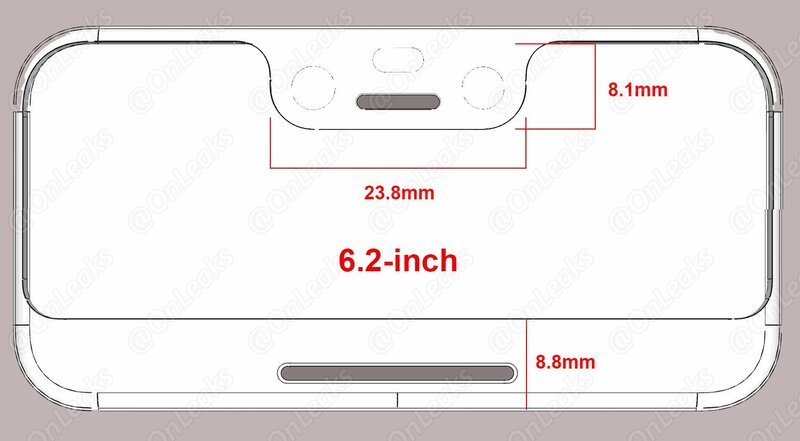 While the smaller Pixel 3 will mostly remain symmetric around the edges, we'll indeed be getting the 2018 Notch on the larger XL, which is a real bummer for many people. The best way to confirm these changes and to get the reasoning behind all the new design decisions is to wait till October, when Google will most likely be hosting a "Made By Google" event to showcase their latest creations.